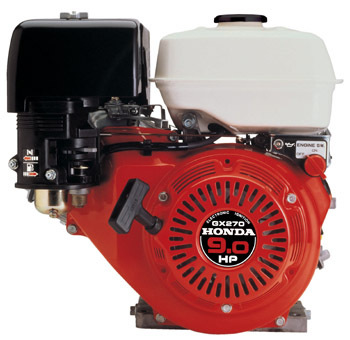 The Honda GX 270 Engine produces 9 hp and is very popular for powering equipment like cement or mortar mixers, generators, water pumps, hydraulic power units, tillers, bale shredders, wood chippers, and leaf debris loaders. HondaLawnParts.com stocks tens of thousands of Genuine Honda Parts to repair or maintain your GX270 Motor quickly. We ship parts daily and can even source slow moving factory stock parts within a few days.